Your marital status can affect your disability benefits and any disability benefits that your children receive from the federal government. Here are four rules each Social Security Disability Insurance (SSDI) and Supplemental Security Income (SSI) applicant should know about the ways that marriage, divorce, and non-marital partnership can impact their potential benefits. When you apply for SSI benefits for yourself or your child, you must disclose your marital status on the date you file your claim. In some cases, you’re considered to be married according to the Social Security Administration (SSA) when you have a non-marital relationship including a domestic partnership or a civil union. Each year, approximately 1 in 100 babies are born with a defective heart, making this the most common type of birth defect. Thanks to advances in pediatric cardiology, more of these babies than ever are surviving to adulthood. According to the most recent statistics, over one million adults currently living have a congenital heart defect. The overall health and wellbeing of these adults largely depends upon the type of defect with which they were born. Cardiologists have identified at least 18 different types of heart defects. Children With Disabilities: Do You Qualify for Social Security Benefits? If you have a child who is diagnosed with a long-term illness or disability, you might feel overwhelmed with the changes you will face. Not only do many children need special care that some parents might not be able to fully provide, but they also often require costly medication, surgeries, or equipment to help adapt to everyday life. Two types of assistance are available to people and families of individuals who have disabilities or chronic illness. Social Security Disability Insurance is usually not available for disabled children. Instead, you can use a separate program called Supplemental Security Insurance to get financial assistance for your child. Your citizenship status is key to meeting your eligibility requirements to receive Social Security Disability benefits. You can speed your disability case along by gathering having your citizenship documentation available. If you live in Utah, Colorado, or Wyoming, here are three tips to help you organize your citizenship status paperwork. 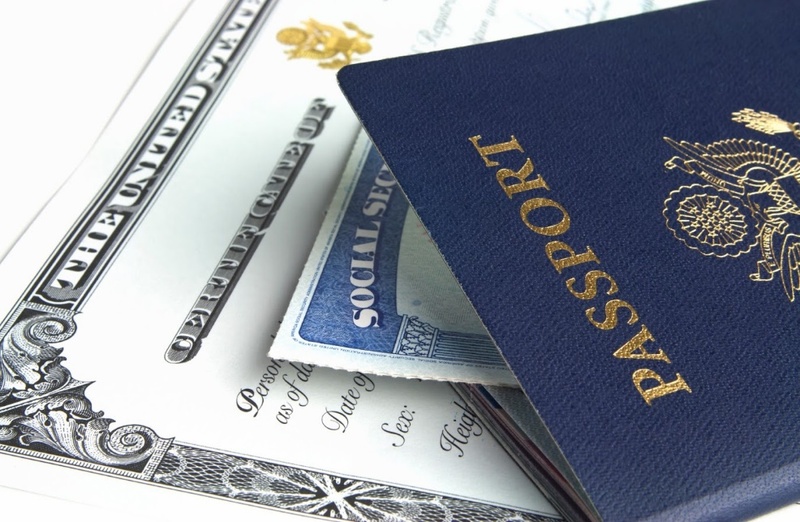 Your birth certificate establishes your place of birth and your U.S. citizenship. You need an official stamped certificate from the vital records department of the state or territory in which you were born. Social media is a big part of many people’s lives in modern society. It allows people to connect with close friends, family members, and strangers with shared interests. It’s a tool that empowers you to immediately share personal photos and stories as they’re happening. However, sometimes things can be easily misunderstood on social media, and that can be harmful. If you have a Social Security disability case, be especially careful about what you post on social media. To receive the Social Security Disability (SSD) or Supplemental Security Income (SSI) benefits you seek, you need to be seen as trustworthy and credible. Consider why it’s important to be careful on social media while you’re applying for disability benefits. The Social Security Administration, or SSA, oversees governmental programs designed to assist individuals living with long-term and permanent disabilities that affect their ability to provide for themselves. The SSA grants this assistance through Supplemental Security Income (SSI) or Social Security Disability (SSD) benefits. Because these two programs have similar abbreviations and purposes it leads many individuals to use the terms interchangeably. However, the two programs provide different benefits and often serve different demographics. Social Security benefits are designed to assist individuals who have medical issues that affect their ability to provide for themselves. Because benefits are awarded based on the effects of injuries and conditions, the Social Security Administration (SSA) requires medical documentation with each application. The medical documentation you provide directly impacts your approval and duration of benefits. When you understand the relationship between medical documentation and Social Security benefits, you can ensure that you receive the aid you need to supplement or replace income, receive essential treatment, and maintain your quality of life. In this blog, we answer some of the most common questions about medical documentation in the application process. For many individuals, Social Security Disability, or SSD benefits, offer critical income that helps them maintain their quality of life through periods of extended or permanent disability. While these benefits are important for many people, relatively few applications for SSDI benefits are approved after the first submission. In fact, according to Social Security’s own statistics, approximately two-thirds of all SSDI benefits applications are denied at the initial level. In this blog, we explain the four common categories of denials that the Social Security Administration, or SSA, issues. The Social Security Disability (SSDI) and Supplemental Security Income (SSI) programs provide many individuals with the funds they need to seek medical care and cover daily expenses despite the difficulties of living with a disability. Because this money comes from the government, the Social Security Administration (SSA) denies the majority of applications. Understanding what the SSA is looking for in your application can strengthen your chances. Perhaps the most important step that you can take is to partner with an experienced Social Security attorney before you submit your application. In this blog, we list four ways that a lawyer’s expertise enhances your application. Why should I have a licensed, experienced Social Security attorney? The Social Security process is not user friendly. It has its own regulations; its own law; its own language. Even other attorneys will wisely refer cases to an attorney who practices in this area. Social Security’s own statistics show a greater success rate when someone is represented. People come to the Social Security disability process often overwhelmed due to illness and financial pressure, without adding the need to navigate this agency’s process, one which not all of its employees even understand. The disabled person may get a denial, but not know what to do next, or give up because they just can’t do anymore. A Social Security lawyer can take over the day-to-day work on the case. The attorney can gather the records and file the appeals in a timely manner.